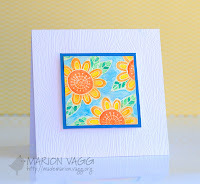 ... isn't it just so bright and cheerful! Just had to give it a go but as usual just couldn't get my mojo to play ball until this last half hour so fingers crossed I make it in time! 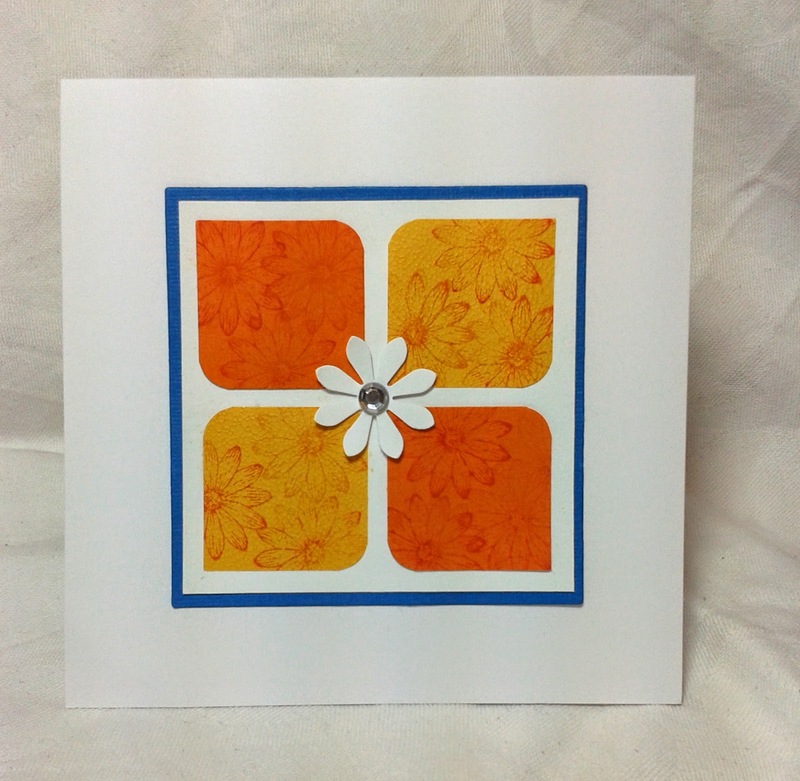 I stamped 3 flowers off the edge (just as Marion has) in scattered straw distress inks then cut out four squares ,rounded two edges and then as it seemed to need something to tie them all together added the flower in the middle with of course a gem to finish off. I seem to be loving all these bright and bold colours at the moment,only problem is I really should be doing some birthday cards for friends but Mr Mojo is having none of it ....am I the only one who struggles with girly cards ?I see some beautiful inspiration out in blogland but when I try to recreate it I'm never happy and they usually end up in the bin! Aw well will have a think tonight,beats counting sheep anyway. Phew, you made it! And I'm so glad - your graphic take on Marion's Muse is really cool and fun! So glad you joined us this week! I love your take on the muse card. The stamping is very subtle and pretty!